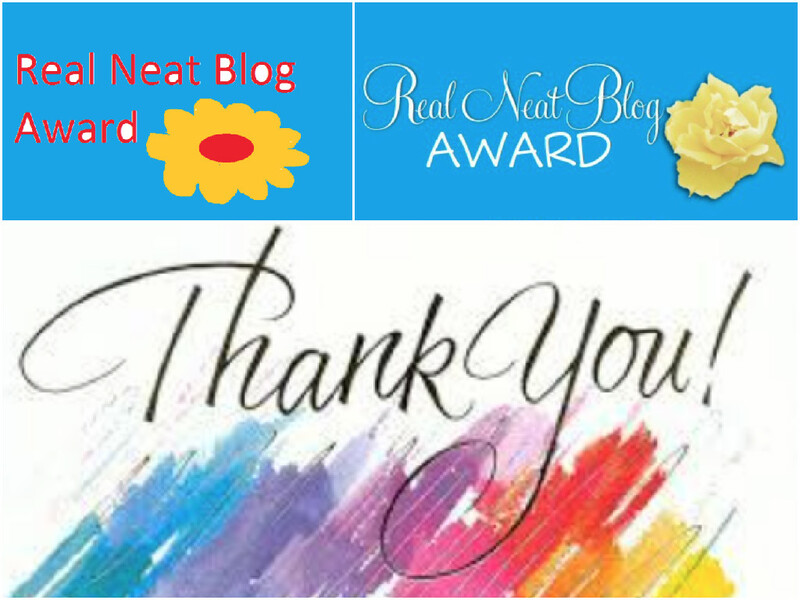 The Real Neat Blog Award is an interesting idea and, I am excited to participate. It recognizes our efforts as bloggers but, more importantly, introduces other blogs we are likely to enjoy and share. The rules to participate are simple. Let them know you nominated them (by commenting on their blog). Let me get started. I have a few questions to answer, a few to ask and, a few bloggers to nominate. 1. Do you think I’m a better scientist than I am a writer? I can’t comment on your science. I was always good at science at school but nowhere near your level. What I can say, is that you are a talented writer. I anxiously await each and every one of your posts. In fewer than 500 words, you can raise the hair on the back of my neck, bring tears to my eyes and, give me goose bumps from head-to-toe. 2. Are you already friends with Trish? I do not know Trish. I would like to meet her. However, I have begun to follow her blog. I admire her for having raised her children as a single mother. That is not easy. 3. What’s the temperature where you are right now? As I write this, it is 12 degrees Celcius. 4. Where are you going to spend your summer and why? I plan to spend June, July and August at my cottage in rural Ontario cycling, swimming, reading a lot (there is no TV and limited internet), gardening and, renovating. 5. What do you think about bees going extinct? A world without bees would struggle to sustain the world’s growing population. They are major pollinators responsible for 70% of the worlds crops. And, without bees, many plants would be lost, perhaps forever and this, in turn, would limit food sources for all plant eating animals. We need bees. 6. If you could ask yourself a question what would it be? That’s easy. I would ask myself what I wanted to be when I grow up. 7. Your all-time favorite blog is? Why? Now, here are My Questions. I have put a lot of thought into them because it is only fitting that a Real Neat Blog recipient be able to answer skill testing questions. How many states are there in Canada? If you could invite any 3 people to dinner, who would you invite? If you could take a month long holiday anywhere in the world, where would you go and, who would you most like to go with? What is the capital of Vancouver? If there was one thing you could change about the way you look, what would that be? What is the most imminent problem facing mankind today? And, what would you do to fix it? Now, for the hard part. There are so many blogs I enjoy following for so many different reasons. I post about cycling but I am interested in many other things. Don’t be offended if you are not included this time. I have chosen the following blogs because I anxiously await their next post. Serendipities of Life – Frank Burns is a retired school teacher who takes extended, solo cycling trips throughout the world. Last year, he cycled from London to Istanbul. He is currently cycling Japan from tip-to-tip. Bike Like Crazy – Bri is a young woman in her early twenties who likes to bike, living a simple, calm, weird, car-free life in Northern New York. She is more. Bri decided to cycle 10 miles to work (and back) throughout one of the worst winters in history. Her story is remarkable and, over the months I have been following her blog, she has developed a compelling and engaging style. Fit Recovery – Jim is a recovering alcoholic and a “newbie” cyclist who posts about how to go fast on a bike, the challenges he faces staying sober and, bike maintenance. This entry was posted in Cycling and tagged Commuting, Training by PedalWORKS. Bookmark the permalink. I’ll just have to think up my answers to your questions. You are welcome and most desiring. 2. Muhammad Ali, Marie Curie and Leo Tolstoi. I do martial arts, I’m a woman in science and I love old Russian classics. 3. Meryl Streep. She’s cool. 4. the island of Socotra. One month would never be enough there, but even eternity starts with a day. I’d actually love to be buried in the shadow of some succinates there, they’re magical. I’d take my guests from question number two with me. 7. I think the main problem is that we agreed to be seperated and put into clusters: we’re seperated by skin color, various states, borders, finances, languages, politicians who don’t get along… If we would accept we’re all the same this would already help a lot. I would let children rule the world by having an one-world-government. Kids have a feeling for justice. They would fix what adults messed up and the world would be more fun. I would never have suspected you did martial arts. I have never heard of the Island of Socotra. It looks beautiful. Have you been there? I would agree you are beautiful and, I have never seen you. Vancouver does not have a capital. Victoria is the capital of British Columbia 🙂 And, your suggestion to have children rule the world is brilliant. I was curious how you might answer these questions and certainly wasn’t disappointed. What are you doing in Canada?